Attend Boots at the Beach Country Festival, Food Truck & Rock Carnival, or Crystal Springs Annual Oktoberfest Weekend. You can also get scared at Six Flags Great Adventure Fright Fest, support a cause at Children’s Brain Tumor Foundation Children’s Walk, or tell stories at Grounds for Sculpture’s New Jersey Storytelling Festival. If we missed an awesome local event in New Jersey this weekend, please share below in the comments. Be sure to use #njmom and #njmomlife when sharing pictures on social media! The Annual All About Downtown Street Fair began in 2011 featuring over a hundred vendors selling all sorts of products ranging from handmade jewelry to one of a kind art work, 10+ of the top Food Trucks in the tri-state area and all sorts of fun for the family. In only its 4th year, this event brought over 25,000 into our downtown corridor with 2015 gearing up to be the best year yet! The North Wildwood Entertainment Districts “Olde New Jersey Ave” comes alive with sights and sounds of a country fair. Vendors will line the center of the street selling clothing, wares, and all things country! Refreshments, food and live country music will be outdoors on the stage all day long into the night. It will be fun for the entire family! Indulge in great food and the fine wines of Cape May County during this annual autumn celebration. Spend the day eating Middle Eastern, Greek, Slavic, and American food. There will crafts to entertain the little ones as well as a magician! The Food Truck and Rock Carnival is a multi-day, fun for all ages event. Enjoy live music, food trucks, craft beer, competitions, amusement rides and carnival activities, pro wrestling, gaming tournaments, and more! This event is a BBQ lover’s dream! Packed with mouth-watering specialties along with all day musical entertainment, artists, and crafters. Six Flags Great Adventure becomes the world’s largest scream park. The event features family-friendly “thrills by day,” while an amped-up “fright by night” will deliver more scare zones, terror trails and haunted mazes plus nearly 200 zombies and Halloween-themed shows and attractions. Once the clock strikes six the midways become full of the living dead, ready to scare the pants off of anyone who dares to cross their path. Experience our terror trails, haunted shows and your favorite coasters at their scariest, in the dark! Enjoy everything from hot dogs, to BBQ, to lobster rolls, to fried oreos. And wash everything down with one of our Oktoberfest beer selections from our German beer garden. It’ll be a long, food-truck-less winter. So bring the friends and family to Food Trucktoberfest! An all-day festival featuring local musicians and regional brews, plus seasonal vendors, food, crafts and collectibles show, and other family activities. Enjoy great vibes from over 15 New Jersey and Philly original artists throughout the day & evening! There will be non-stop activities, such as kite flying, face painting, clown school, magicians, mimes, and sand castles! Enjoy a day consisted of a parade of horses, demonstrations by equine and agricultural non-profits, live harness racing, petting zoos, a concert and more! Sample dishes by the area’s finest restaurants serving everything from Lobster, Steak, Chowders, Pasta, Desserts and everything in between. There will be hundreds of arts and crafts vendors displaying their crafts. 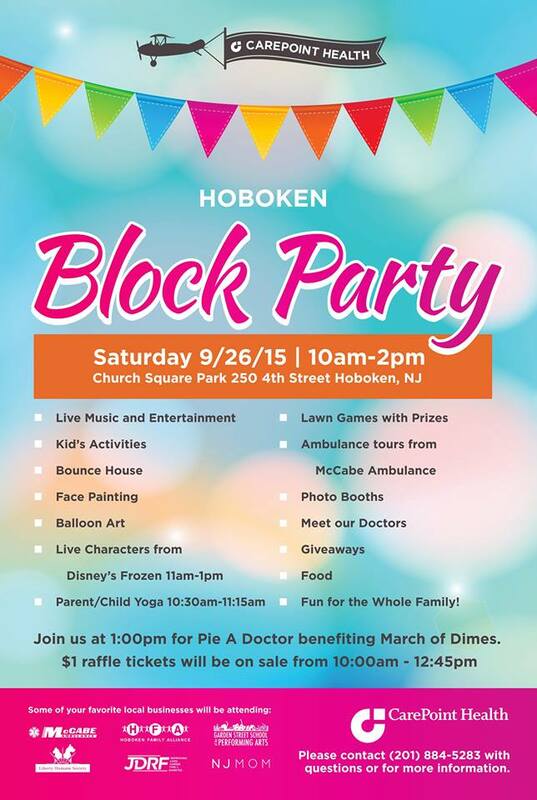 There will also be pony rides, antiques, kiddie games, and live entertainment! Enjoy tons of carnival rides & games, wacky contests and more! Feast on delicious roast pig and knockwurst paired with authentic german beer. Honor and make a positive impact on the lives of family, friends, and everyone who has been affected by a brain or spinal cord tumors. Taste an amazing array of cuisines and over 15 food trucks in the tri-state area! Last year’s winner, El Lechon de Negron, will pit their unique brand of barbeque against burgers, brisket, bacon, and whatever culinary concoctions their challengers have to offer. Enjoy stories of fantasy, heartbreak, wisdom, and whimsy in a fabulous sculpture park. Tellers will regale listeners with tales for all ages at indoor and outdoor sites throughout the grounds.